Earn $1.50 in Rewards credit (150 points) What's This? 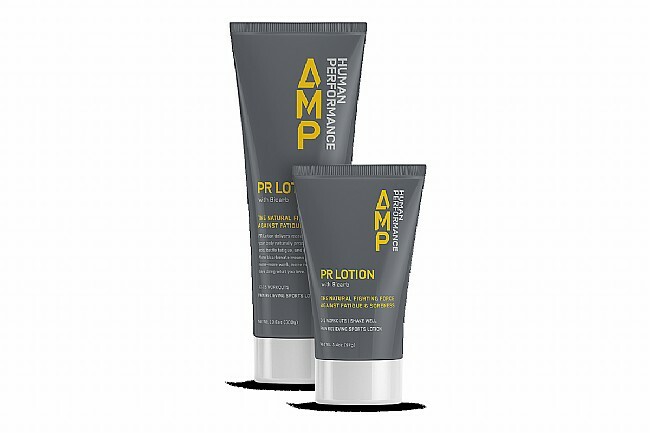 The sports lotion you use before your workout. PR Lotion helps you maximize your workout, do more of what you love, and come back strong the next day by neutralizing acid in your muscles with bicarb. Our bodies naturally produce bicarb, which is high pH, to neutralize acidity in a common acid-base reaction. 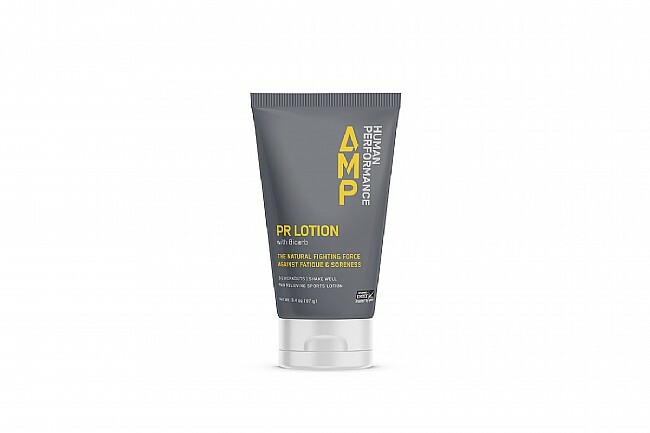 PR Lotion gives your body more bicarb to clear more acid, giving you the ability to push yourself harder for longer. Bicarb reduces chemical stress in your muscles which helps prevent soreness. Alkalinization prevents one of multiple causes of delayed onset muscle soreness. Intense exercise produces free radicals that cause muscle damage and inflammation which leads to soreness. Alkalinization with bicarb reduces free radical release, thus reducing muscle soreness in the days after intense efforts. AMP Human PR Lotion is trusted by the world's best athletes and is safe for competitive sport. Made in the USA.